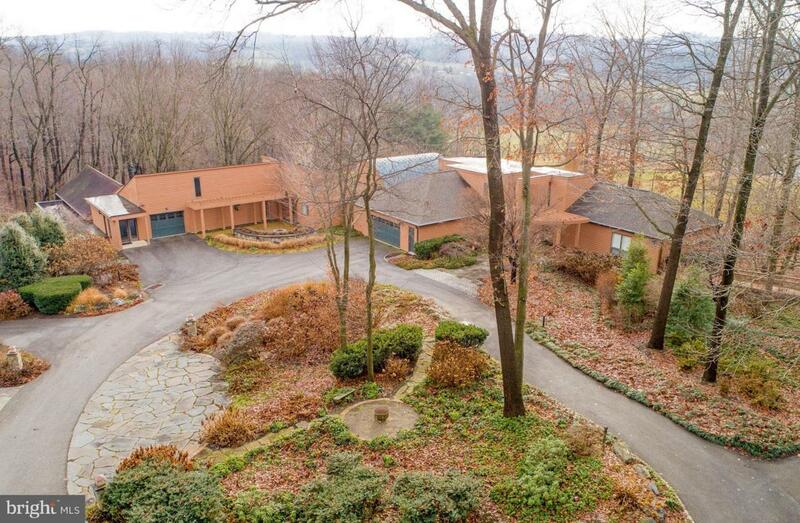 This lovely Lancaster County Estate is one of kind! Nestled in the farm country of Strasburg, this 68 acre property offers gorgeous views of the neighboring farms and valleys. A custom design that offers 6 bedrooms, 8 bathrooms, 5-car garage, indoor pool and spa, a quaint guest cottage, in-law quarters and a carriage house. The nearly 10,000 sq.ft. of living space is eloquently designed, full of contemporary flair. Featuring numerous vaulted areas, custom kitchens, barreled ceilings, gorgeous tiled and wood flooring, focused lighting, and a clever design to showcase the versatility of many different living options. The views are priceless! From the many angles of this property, you'll enjoy the true beauty and serene setting that this unique home offers. Meticulously cared for with a well thought out plan, this property has experienced numerous renovations and additions, and is perfect for entertaining, hosting events, or to just simply be loved by the next owner.